The exodus of doctors from Medicare and likely from private practice altogether – is accelerating. The signs are undeniable: A 2008 poll by an independent Medicare commission found that 28 percent of seniors had trouble finding a primary care doctor, up from 24 percent the year before. In Texas, only 38 percent of primary-care doctors will take new Medicare patients. The Mayo Clinic is opting out of Medicare in several locations because the low payment rates don’t allow the organization to provide the quality care its culture demands. One financial planner reported that well over half of his physician clients have asked him to restructure their finances so they can retire in 2013 – the year before the main provisions of the new health overhaul law take effect. 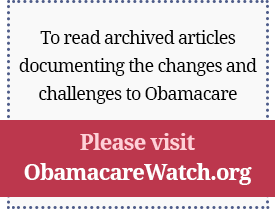 Doctors are on the front lines of ObamaCare’s changes. The legislation requires more than $500 billion in cuts to Medicare to fund new entitlement spending, including a 21 percent cut in physician payments. Congress just postponed the cut until December, but in January, it will be 30 percent. Every delay adds tens of billions of dollars to the cost of a permanent fix. A recent poll conducted by the American Osteopathic Association found only about 40 percent of physicians say they will be able to continue seeing their current Medicare patients if the cuts occur. Medicare payments barely cover their costs now, and many foresee losing money on every patient they treat. Doctors also fear the barrage of new rules and regulation. They must invest in federally approved information technologies to get paid by the government. More paperwork – with resulting clerical expenses – will be required to prove they are following government performance standards that many disparage as “cookbook medicine,” robbing them of their ability to tailor care to individual patient needs. Add to these pressures the 70-million baby boomers about to hit Medicare age, swelling demand for services at the time many doctors are preparing to leave. The American Association of Medical Colleges projects a shortage of 150,000 physicians in the United States by 2025. People will wait longer and travel further for appointments, and they will go to emergency rooms more, costing the system still more. The $250 million promised by the Obama administration to boost medical training will barely make a dent in the need. Ironically, the health overhaul law didn’t increase the number of residency slots so new doctors can have a place to train. But the immediate problem is more physicians are dropping Medicare now. Dr. Juliette Madrigal-Dersch, an internist in Marble Falls, Texas, has left Medicare altogether, joining 13 percent of her colleagues. Her patients pay cash, and neither she nor her patients can claim payment from Medicare for her services. Many specialists say they can’t opt out because the majority of their patients are on Medicare, and they are trapped – until they can retire or find another job. The solution? Putting doctors and patients, not government bureaucrats, in charge of medical decisions. Congress must restructure Medicare to allow seniors more choice and control over their health spending, including allowing them to continue to join private plans with incentives for doctors to provide more efficient care, and to get paid enough to continue seeing patients.